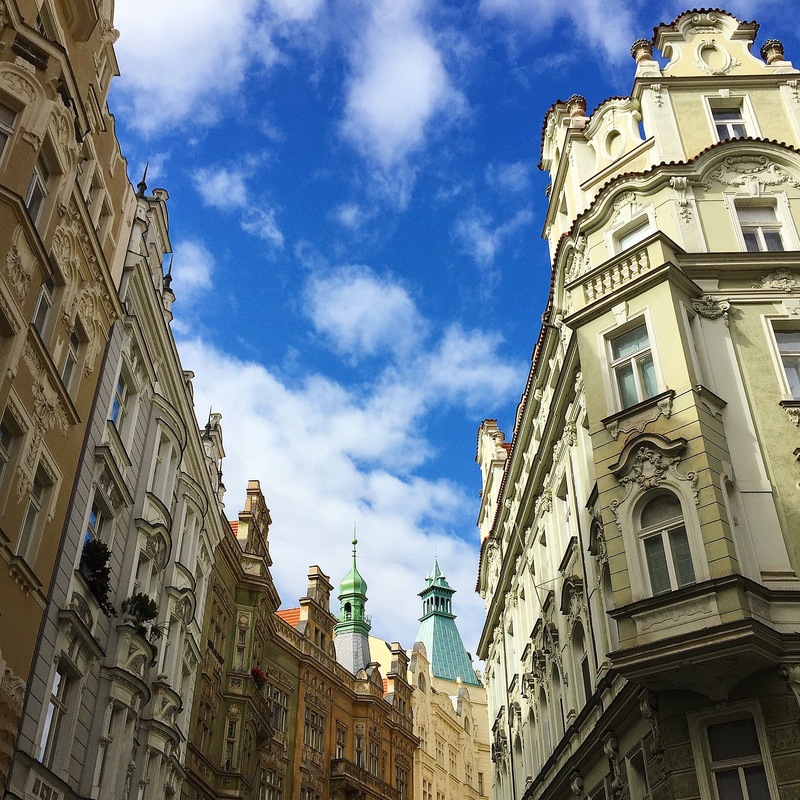 Prague, a city known for its gothic church spires, baroque architecture and red rooftops is so much more than just a pretty face. 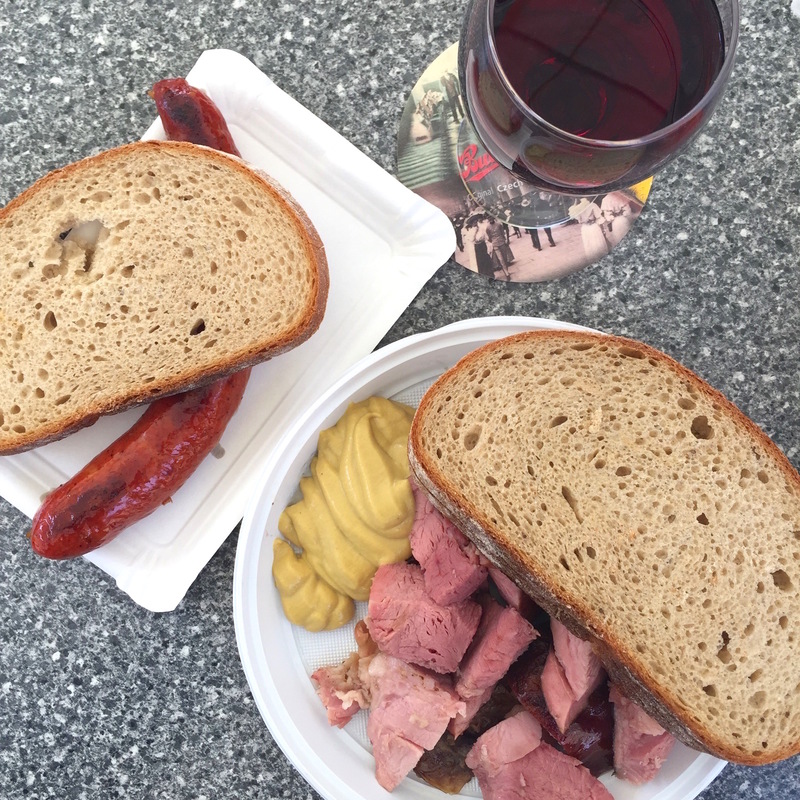 A small family reunion turned culinary pilgrimage gave me a glimpse into the delicacies of the Central European-inspired fare. 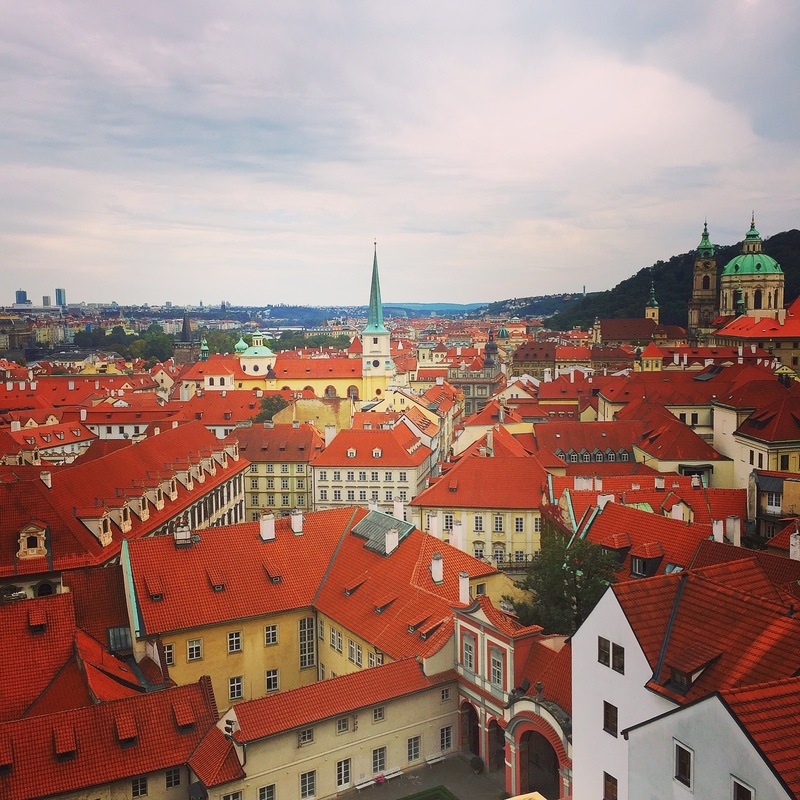 The Bohemian empire has quickly become one of Europe’s most coveted tourist destinations, but with mass tourism comes tourist traps, with this in mind I immersed myself in homework before traveling and here is what I found. 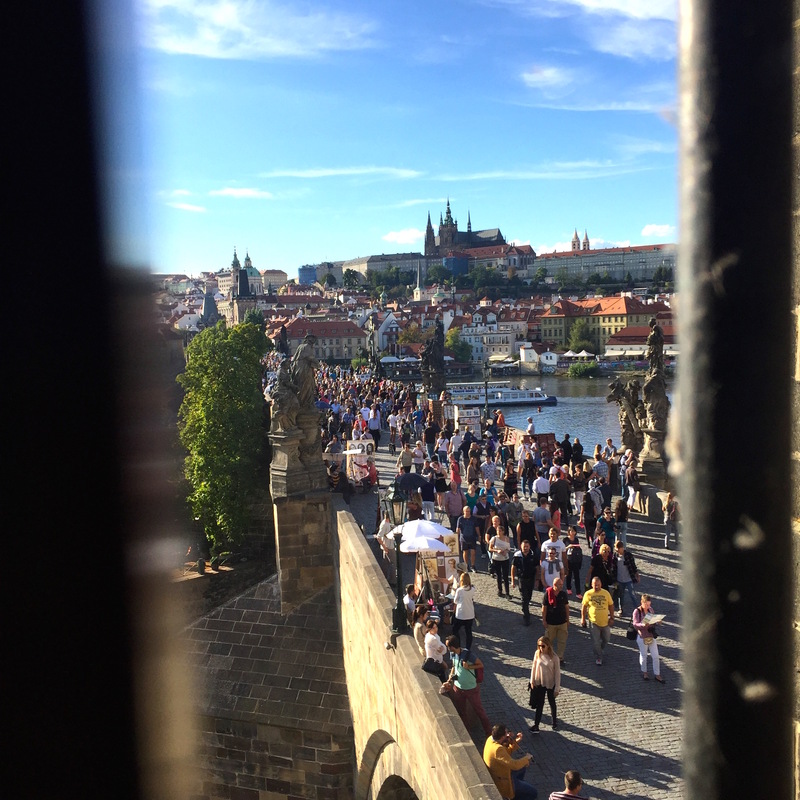 I strategically booked an apartment through Prague-Stay on Rybna Street, on the cusp of Old Town Square, a stones throw from many restaurants on my bucket list but far enough from the herds of selfie sticks and street performers. The Old Town Square neighborhood is an endless grid of cobblestone roads, Bohemian souvenir shops, tiny bistro’s and street food stalls. 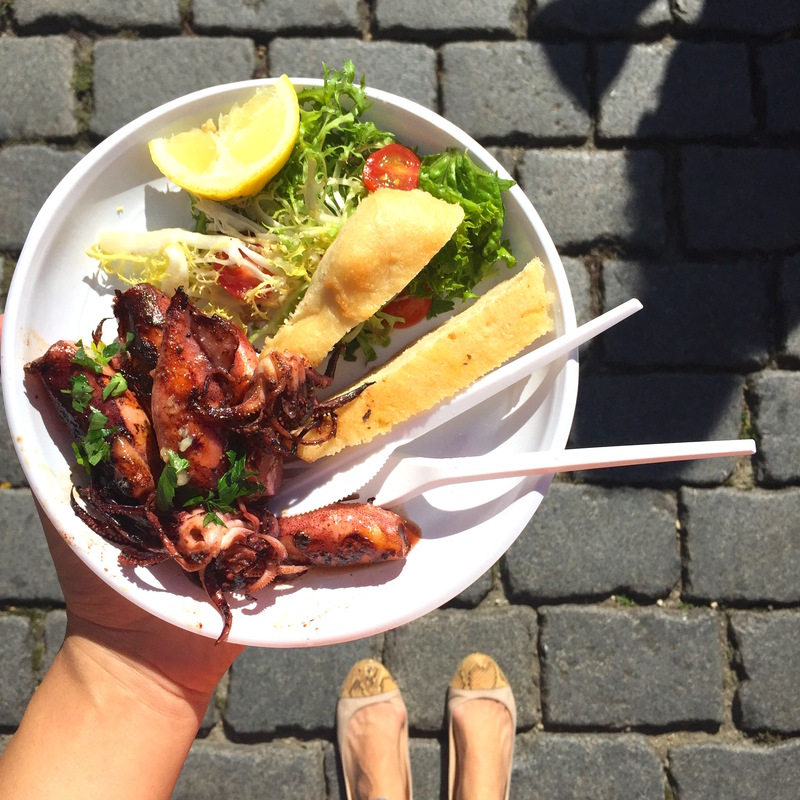 Once you’ve had your fill of the Church of St. Nicholas, the Astronomical Clock and vintage car tours, head over to the conglomerate of food stalls at the edge of the main square. 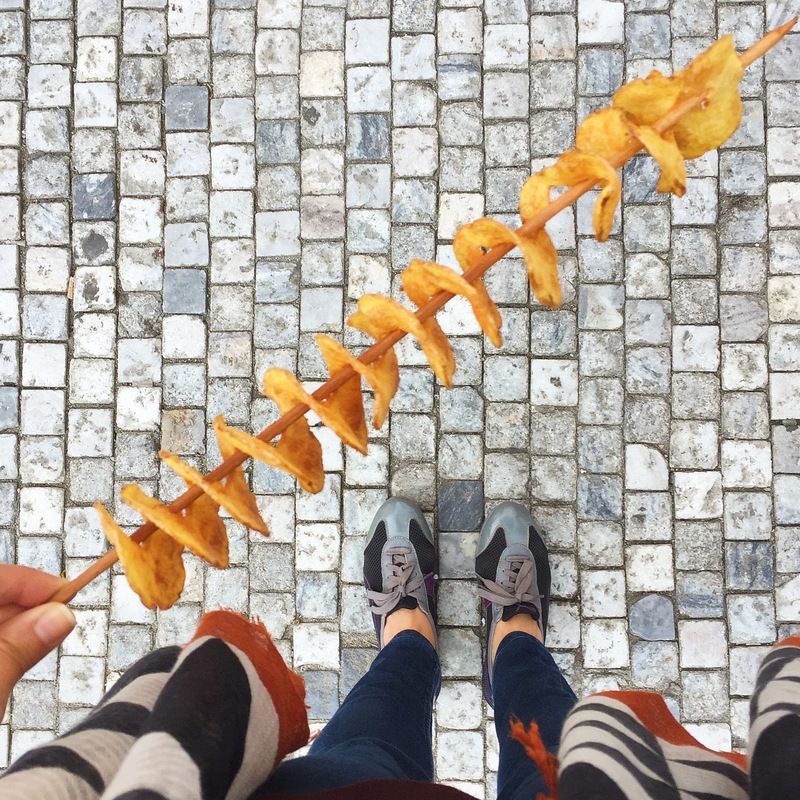 You’ll see an absurd variety of sausage stalls, stake out the spicy variety, clearly pork is the nearest and dearest cut of meat to Czech locals. 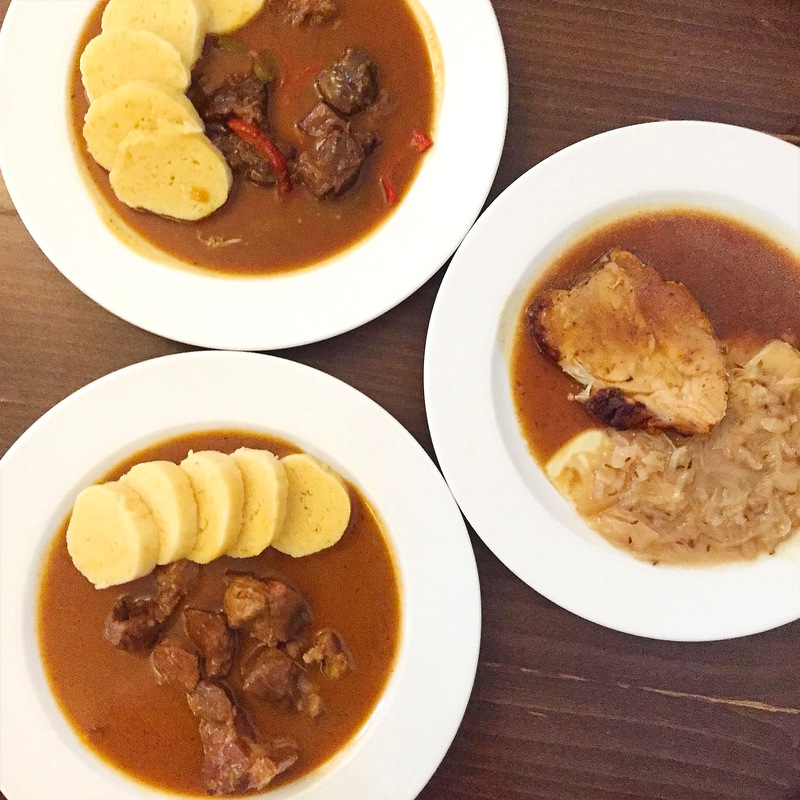 Paper plates piled with high (again) with pork alongside grainy mustard are a popular option but the gnocchi-like potato dumplings interlaced with cabbage and bacon were the unanimouis favorite, wash that down with local wine or lager, the Praha way. 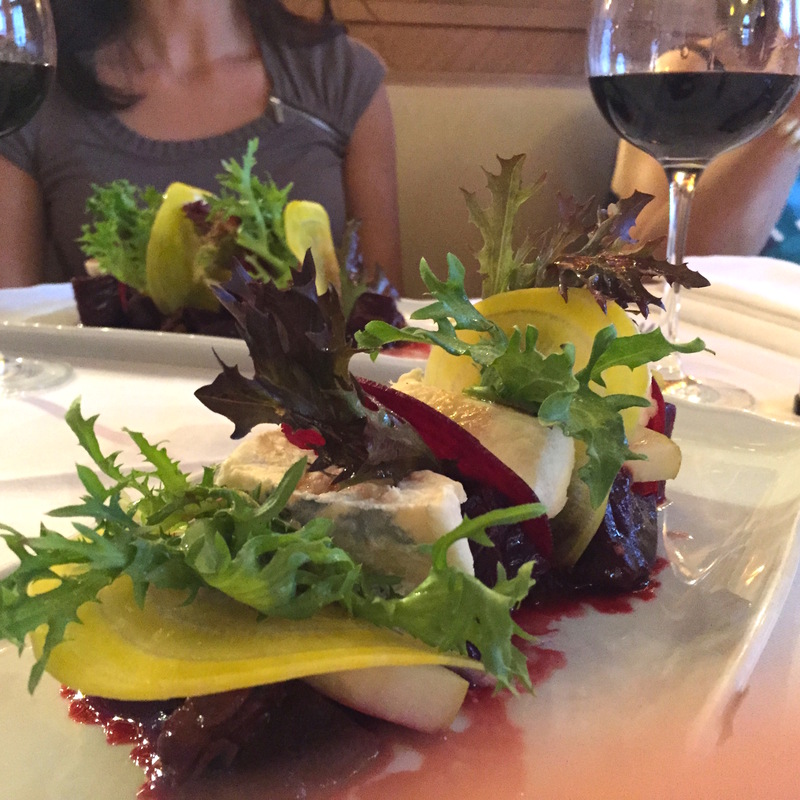 If you really want to experience Prague like a local, divert from Old Town Square toward Dlouhá Street, once you pass In Utero – one of many amusing David Cerny sculptures – you’ll find several great restaurants. 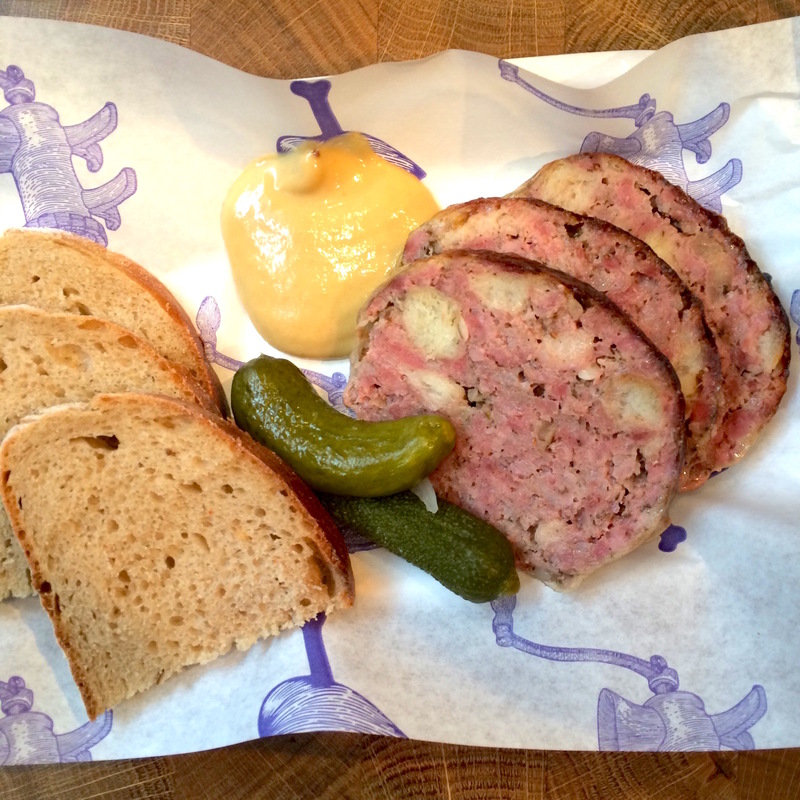 Tuck into Lokal for traditional Czech cuisine, a local (no pun intended) chain which has gained momentum in recent years, you’ll find a long and narrow dorm-like dining hall packed with Czech natives with a microbrewery to boot. Try the Beef Shin Goulash, my personal favorite, Pork braised in paprika and Pork Shoulder in braised cabbage with side orders of potato and bread dumplings. Regardless of what you order you can expect a well-seasoned and flavorful meal. 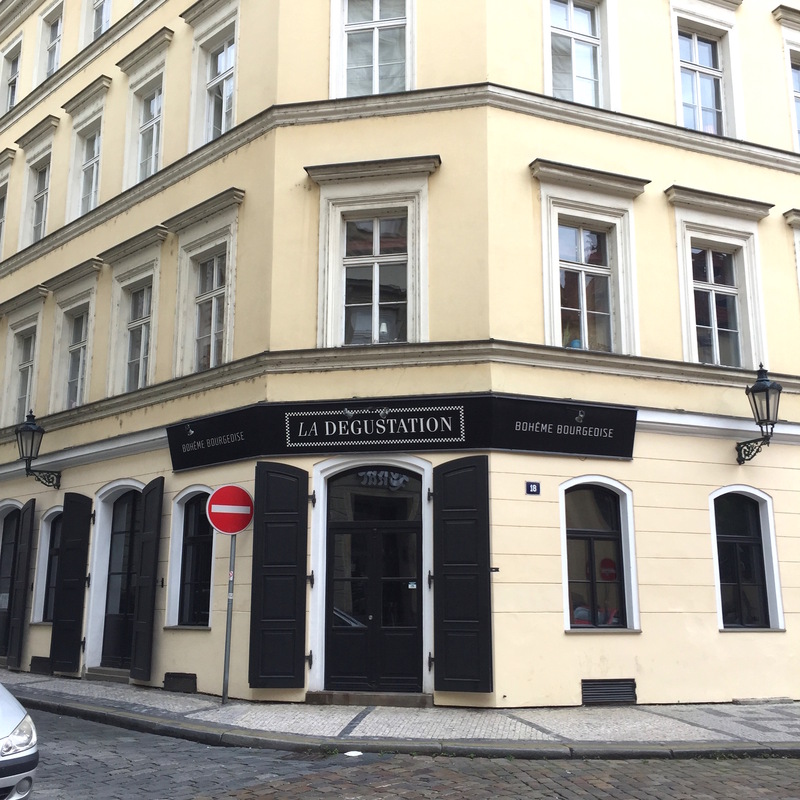 Alternatively, for a quick bite just a few doors down, you’ll find Sisters* and Nase Maso both of which specialize in Czech delicacies. 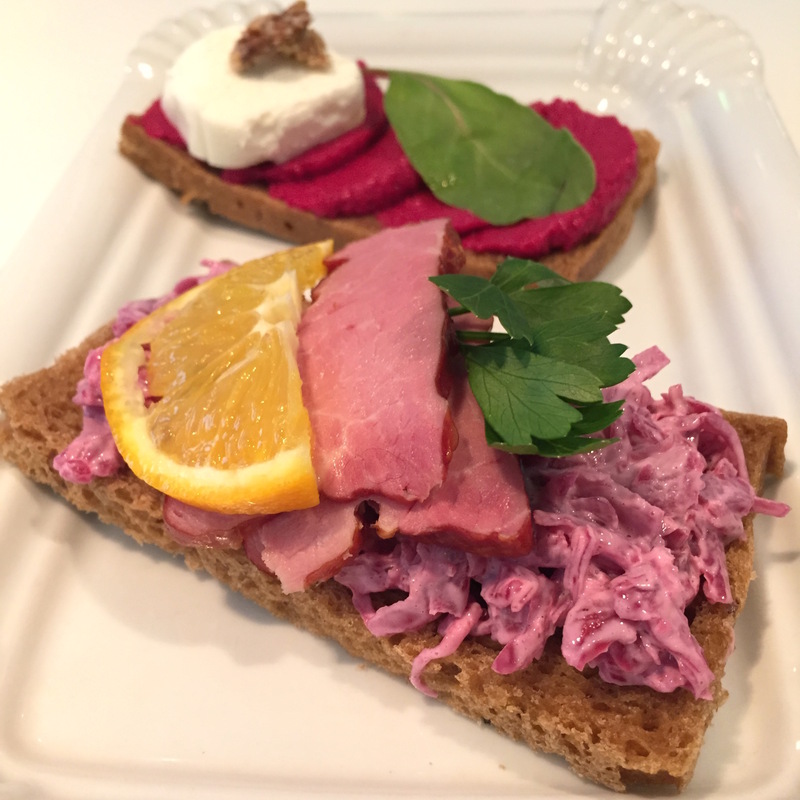 Grab a stool in the window at Sisters, a small deli specializing in chlebicek (open faced sandwiches), the Ham over Pickled Cabbage and Beetroot and Goat Cheese over toast were both scrumptious. 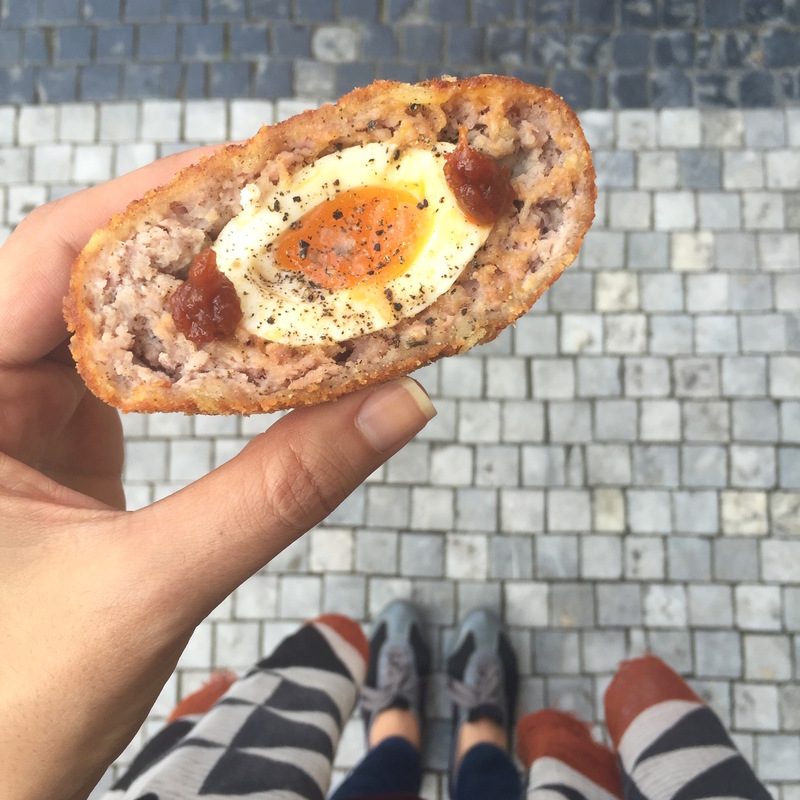 Pair that with the meatloaf just opposite at popular butcher shop Nase Maso for an authentic Czech lunch on the go. And while I love to eat like a local when traveling, we did divert from the pork and potato diet for a meal or two. 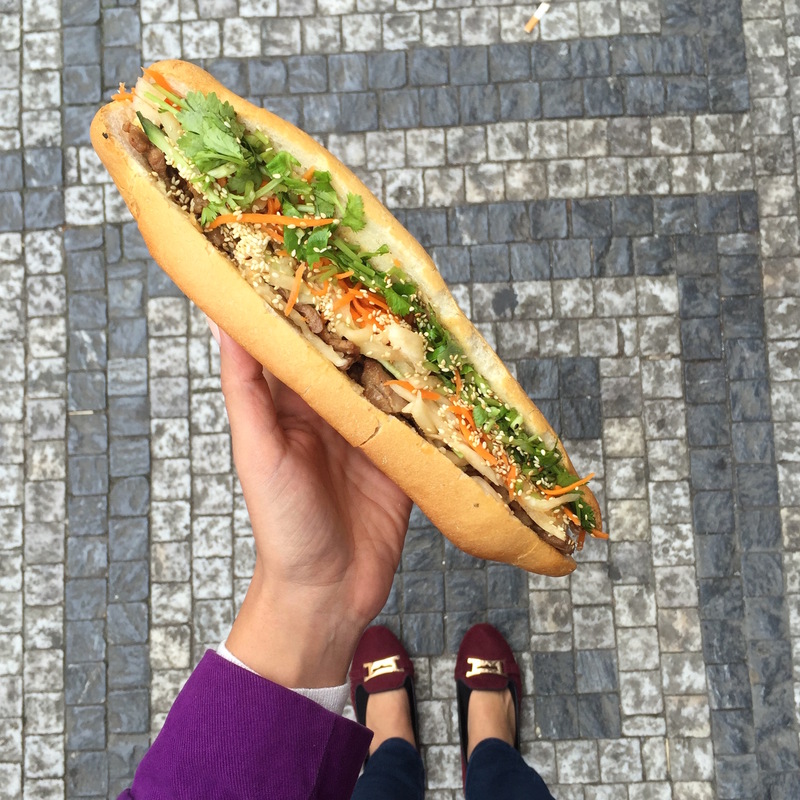 The Vietnamese presence in Prague is vast and so are the Vietnamese eateries, so be sure have Pho or Banh-Mi while in town. Head over to Banh-Mi-Ba in the same neighborhood and get the pork banh mi (I know, pork again – when in Rome) which radiates with tangy pickled vegetables alongside fragrant herbs all wrapped up in a toasted baguette, a giant sandwich to hold you over for half the day while exploring the sites. For a longer lunch, head further up the street to La Bottega Bistroteka*, a contemporary Italian bistro for good wine and a light meal. 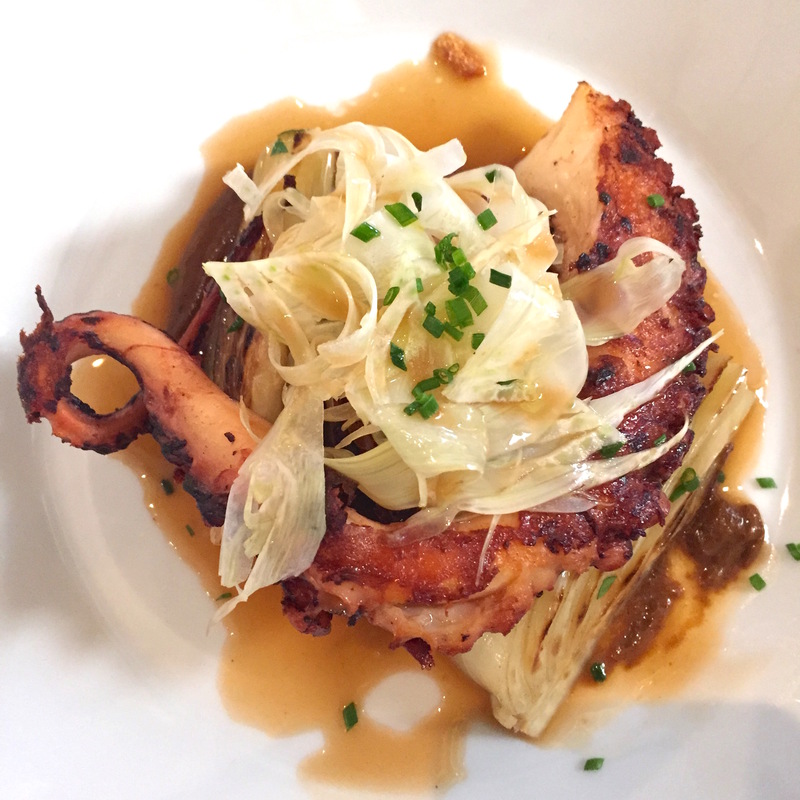 Do indulge in the Mushroom Risotto with marjoram and Grilled Octopus with aubergine puree and fennel sauce – so good we returned for seconds later in the week. La Bottega Bistoteka is a delicatessen so be sure to stock up on salads, cold cuts, sweets and wine for your hotel or apartment. 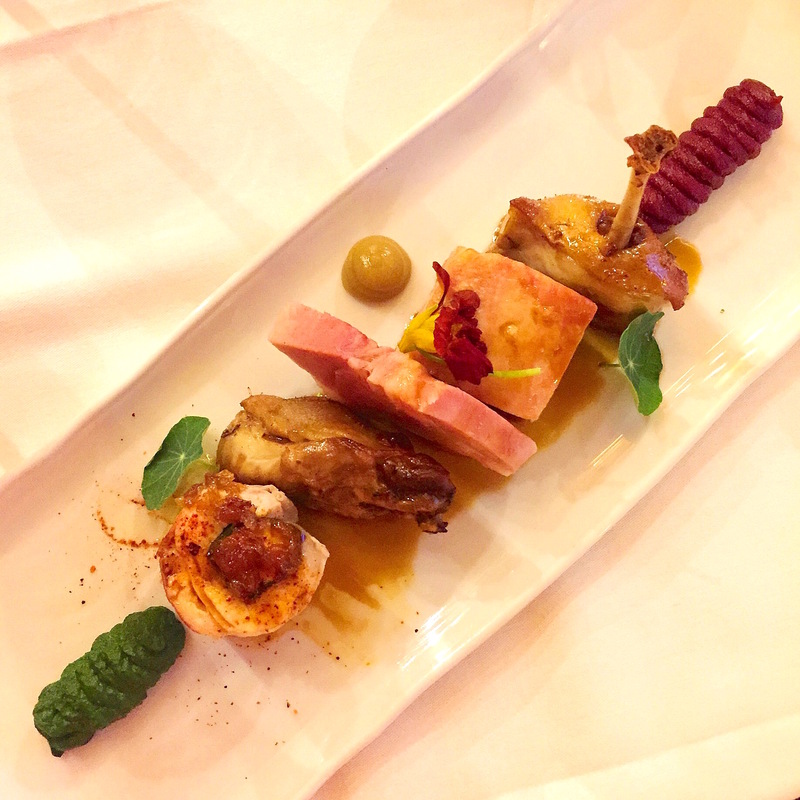 If you really want to indulge, treat yourself to the tasting menu at one of Prague’s only two Michelin Star restaurants, La Degustation Bohême Bourgeoise* and the only one with a Czech menu, arguably the best Czech restaurant in the country. 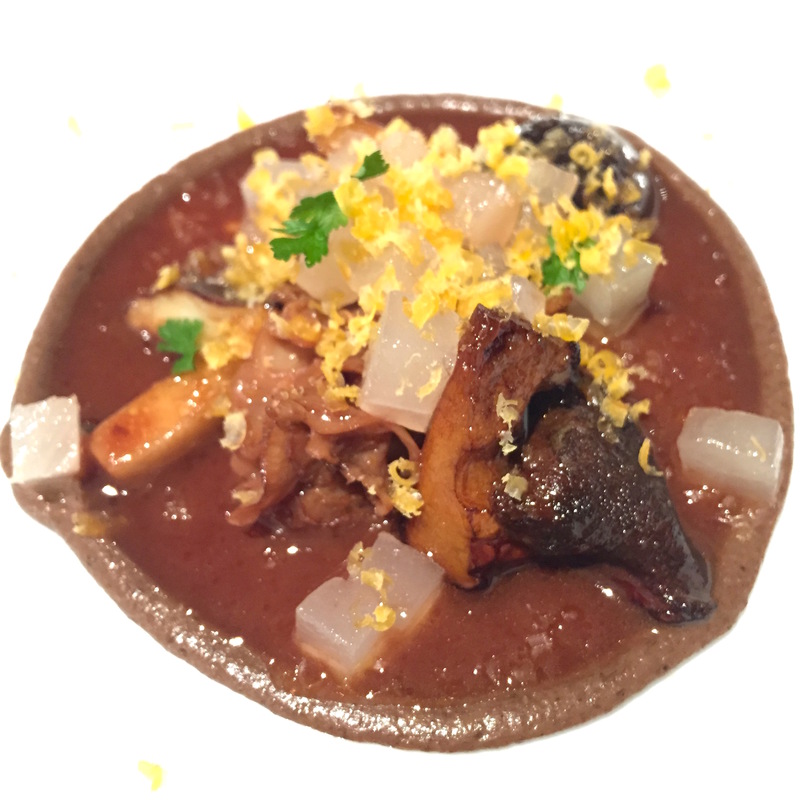 I sat down with the humble mastermind behind the revolutionized Bohemian fare, Chef Oldrich Sahajdak, a man concerned only with staying true to his Czech roots and cooking up the highest quality farm fresh cuisine, so much in fact that he is buying his own farm but more on that in an upcoming blog post. I opted for the 6 course menu paired with 6 Czech wines, expect the likes of Pumpkin Soup with ham infused whipped cream and Seared Catfish with poppy seeds and dill, several dishes of which were plated table side. Reservations needed. If you are in search of a night cap, head next door to L’Fleur a mixology and champagne bar with a 1920’s speakeasy vibe. Be sure to try the Vue en Provence if you enjoy Cognac, its infused with truffle and lavender honey. 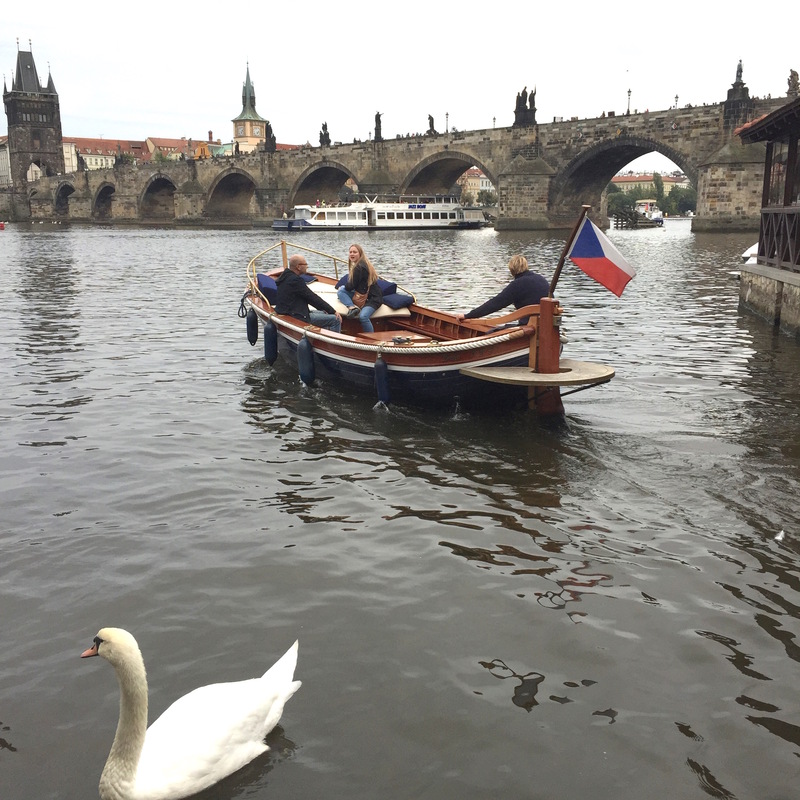 At some point you are going to brave the crowds of Charles Bridge to get acquainted with one of Prague’s most beautiful and historic icons. 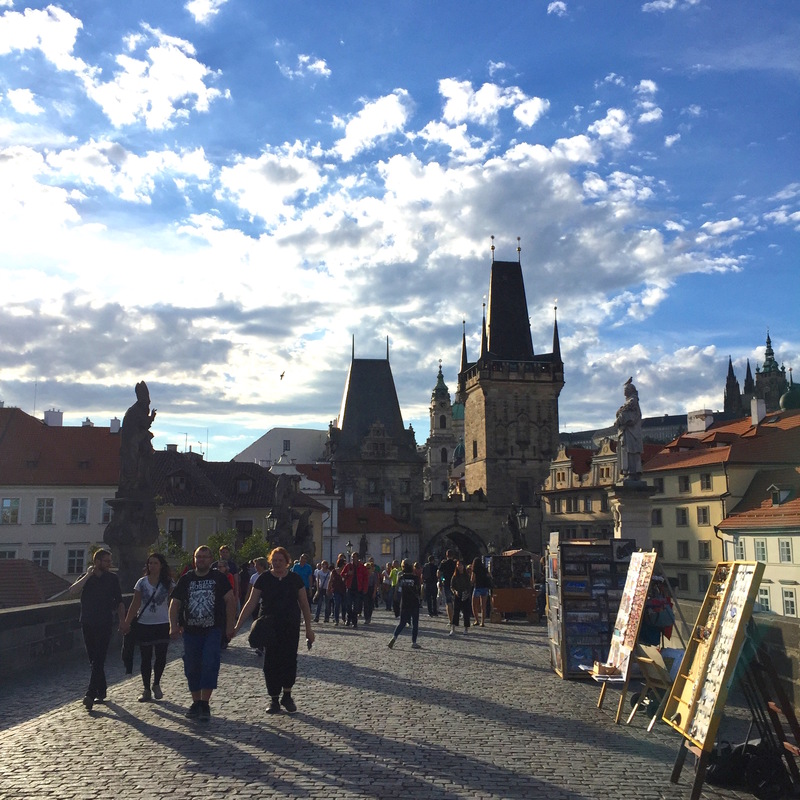 Take your time to meander across the bridge, stop to admire the artists and handmade jewelry, when you finally reach on the other side you’ll find a tiny street market (just beneath the bridge toward the Vltava River). 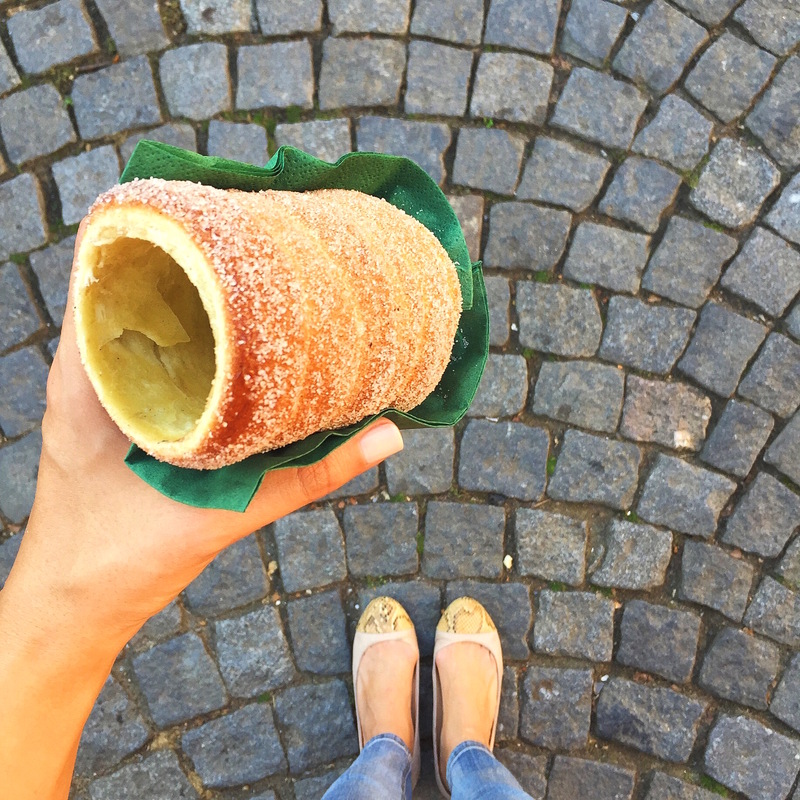 Stop there for a Trdelnik, probably the Czech Republic’s most notorious sweet pastry and pick up a jar of local honey infused with dark chocolate – my favorite Prague souvenir. Just around the corner you will find Prague’s famous Lennon-inspired graffiti wall, an ode to Mr. Lennon himself. For lunch make your way south through Kampa Park toward Cafe Savoy, passing along the way Tower Babies, another bizarre David Cerny sculpture and the haven for Modern Art lovers, Musuem Kampa. Cafe Savoy* occupies a sprawling space and came highly recommended for their decadent bakery however we opted for dinner instead, I would recommend both. The space evokes the essence of early Czechoslovakia, wrapped up in elegant and vintage finishings. In order to diversify I had their Salad with Bastion cheese, beetroot and pear and the Savoy Plate, a spread of duck two-ways, roasted rabbit, Prague ham and pork belly, all excellent. 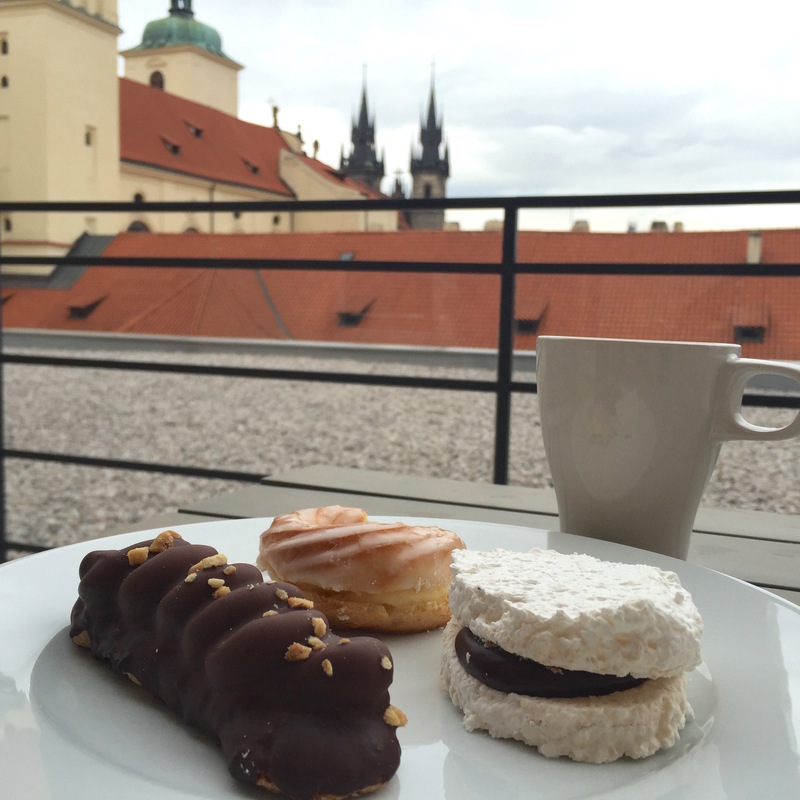 For dessert, be sure to wrap up a box of Prague’s finest vetrnik, venecek, laskonka and kremrole’s for the road. Reservations recommended. 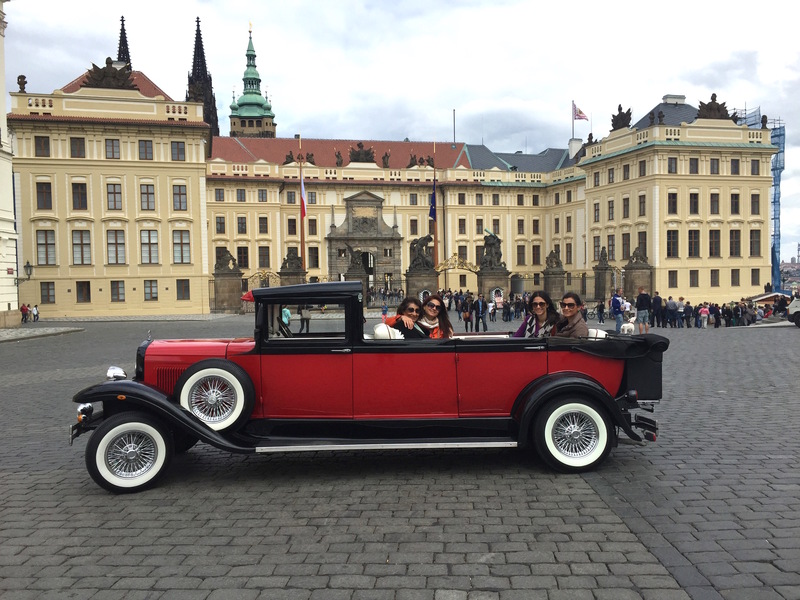 While touring the Prague Castle be sure spend some time on the charming Golden Lane and check out the eerie torture chambers. Once you’ve taken that all in, grab a spiced wine and descend to the gardens below the castle. The winding space is a maze of beautifully manicured gardens slopping over a hillside with breathtaking views of the nation’s capital and a beautiful spot for photo ops. 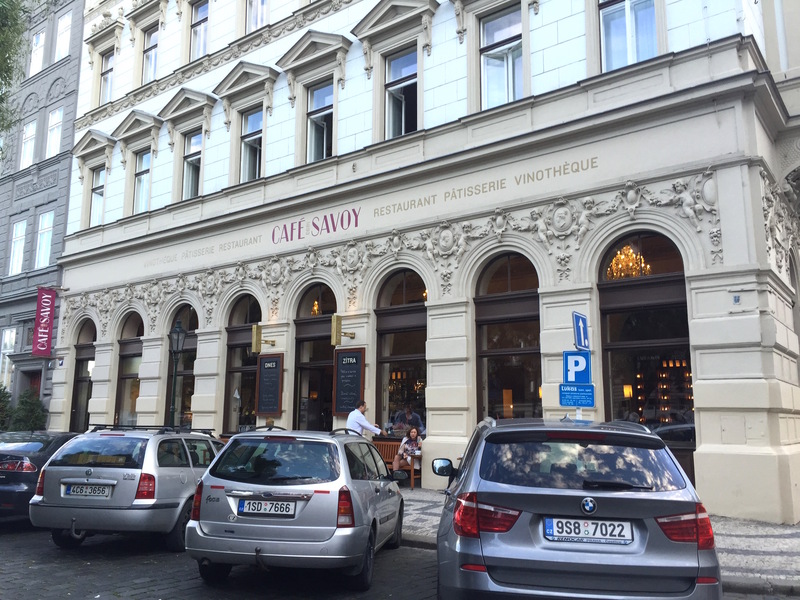 At some point on your trip be sure to veer off the beaten path, a 10 minute walk from Náměstí Republiky, to Sansho* for what is sure to be among the best meals you’ll have in Prague. 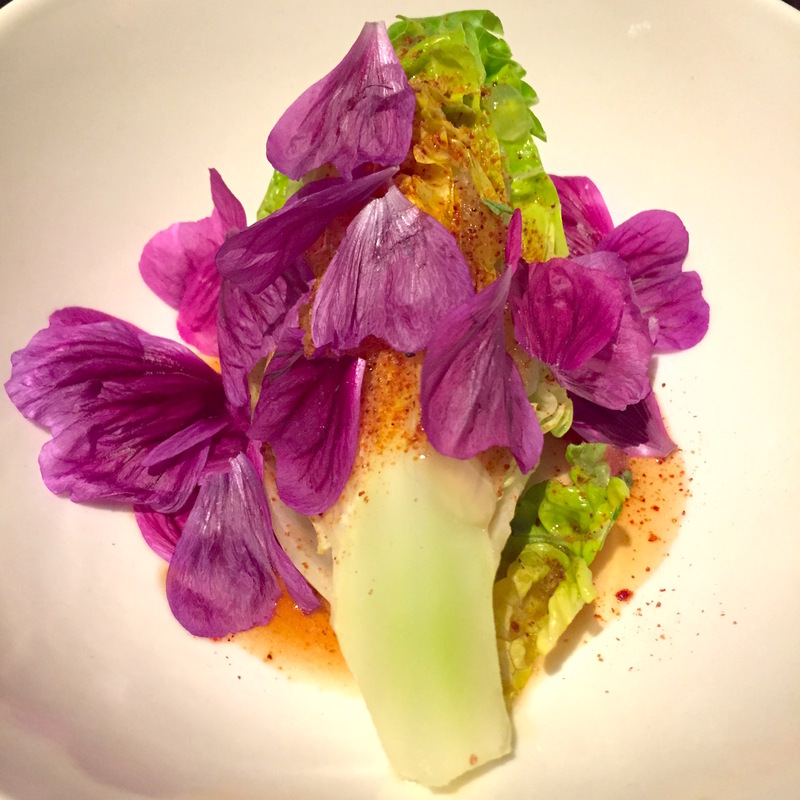 The pan-Asian restaurant is run by ex-Nobu London Sous Chef Paul Day, who relocated to Prague and pioneered the city’s first whole animal restaurant which serves up the best Pork Belly in town, paired with watermelon and hoisin sauce. 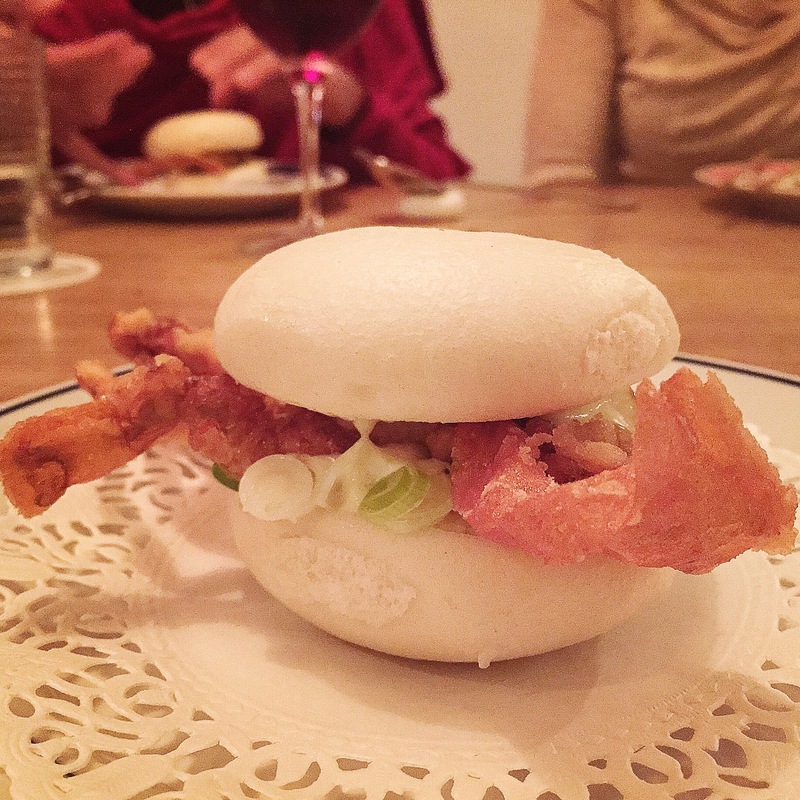 The restaurant itself is simple and understated but the menu is just the opposite, bold and eclectic, the Soft Shell Crab Slider and Salmon Sashimi alone are indicative of Day’s contribution to Prague’s evolving culinary scene. Reservations recommended. 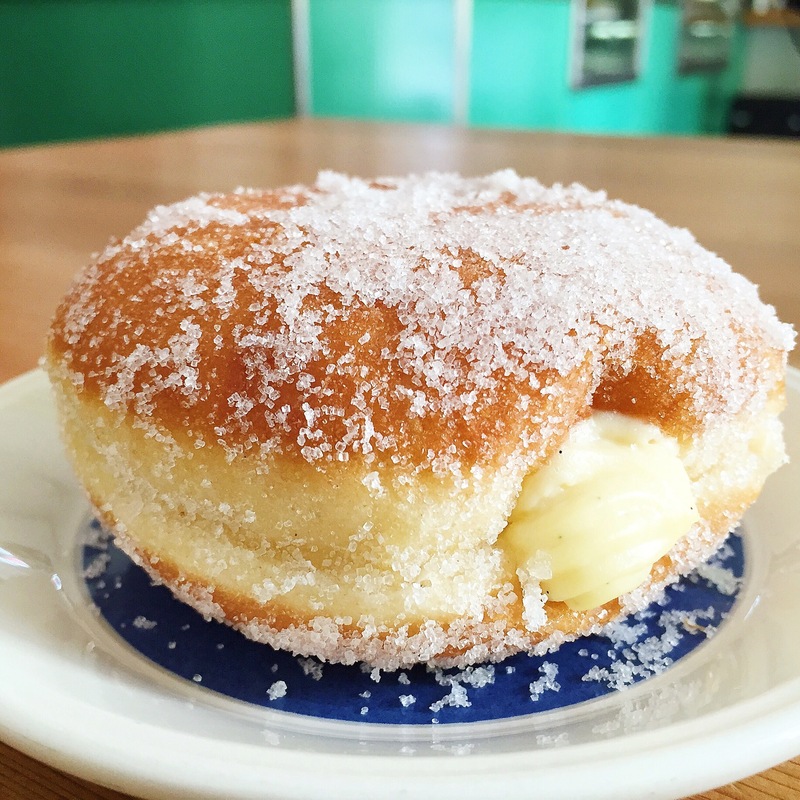 Be sure to visit Day’s butcher shop across the street, appropriately named Maso A Kobliha, which translates to Meat and Donut, and is famous for just that – their fantastic Scotch eggs and vanilla custard donuts. 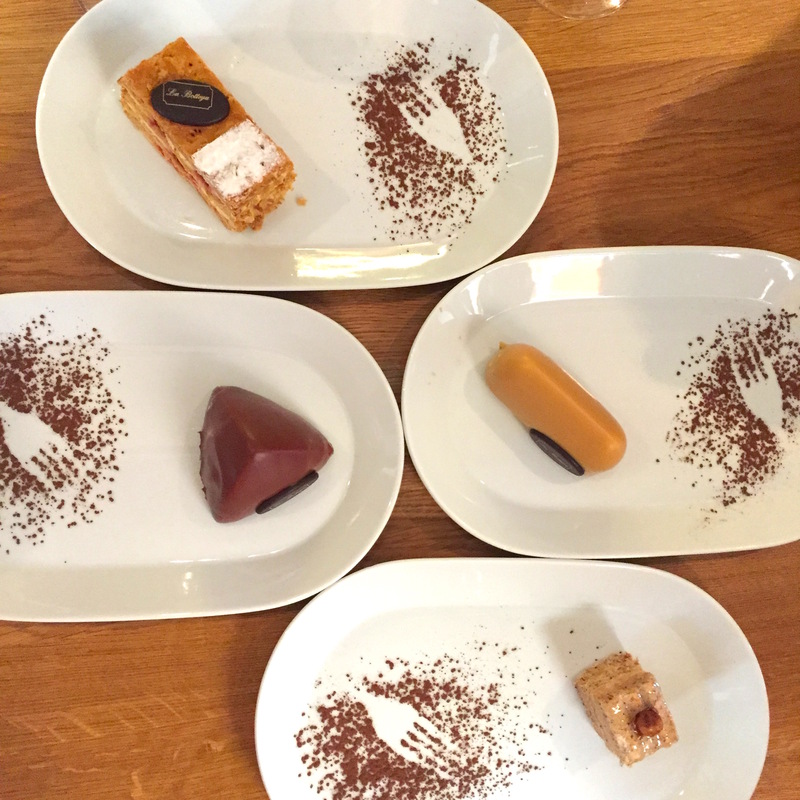 If you need a quality coffee to go with that donut, walk over to EMA Espresso Bar, where Prague’s hipsters caffeinate. 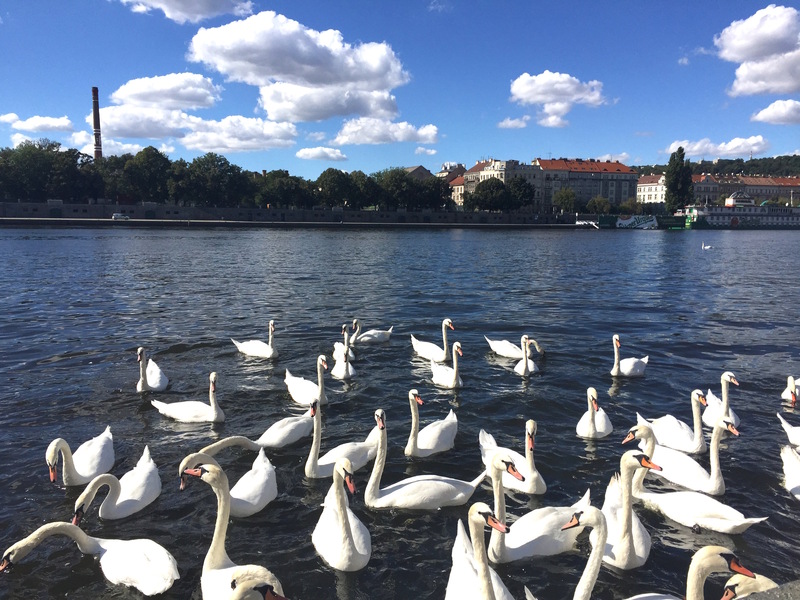 There is no better way to get a feel for a city or their cuisine than visiting a local farmers market, so if you happen to be in Prague on a Saturday, be sure to head to Naplavka Farmer’s Market* along the Vltava riverbank to explore what Czech farmers have to offer. The riverbank market boasts endless stalls of fresh baked goods, homemade pasta, produce, meats, preserves, flowers, cheese and homemade wine – a great place to stock your fridge during your stay. 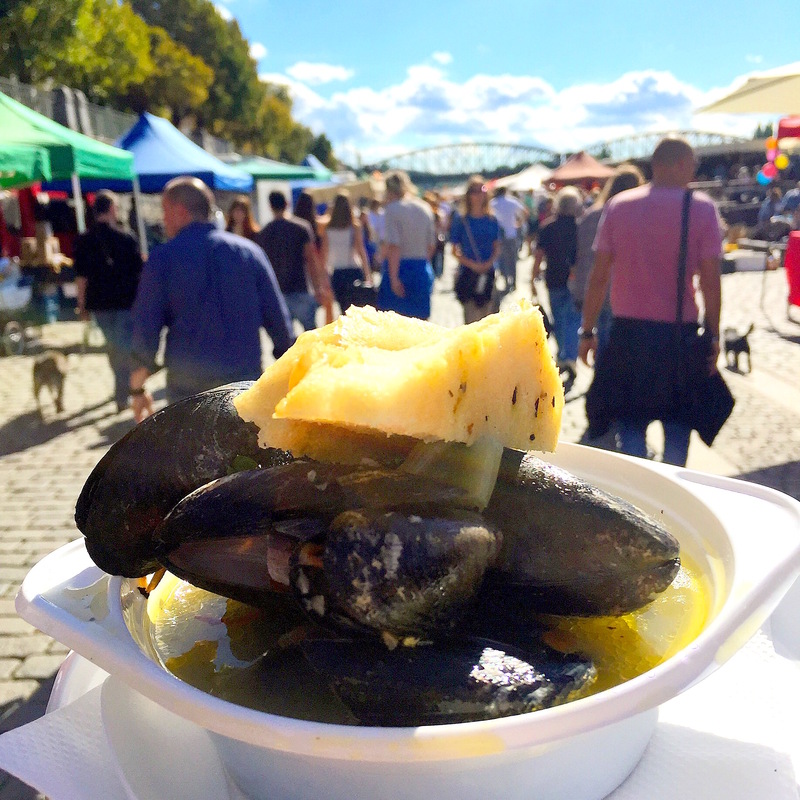 For lunch pick up some fresh mussels and grilled octopus, follow that with a bowl of roast potatoes and spicy sausage and a slice of apple crumble and enjoy the riverwalk by foot – the best way to see Prague. If you are in to architecture, don’t miss Prague’s notorious Dancing House which appears to be swaying back and forth along on the riverfront, just a few steps from the Naplavka Farmer’s Market. 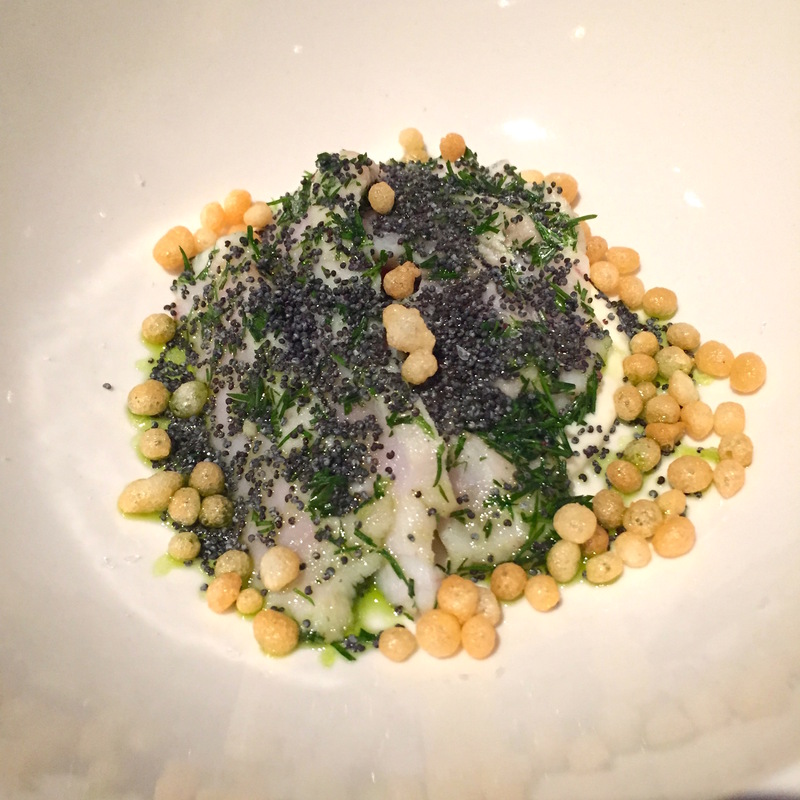 The city itself was absolutely captivating – not to mention affordable – the food on the other hand was a lovely surprise. 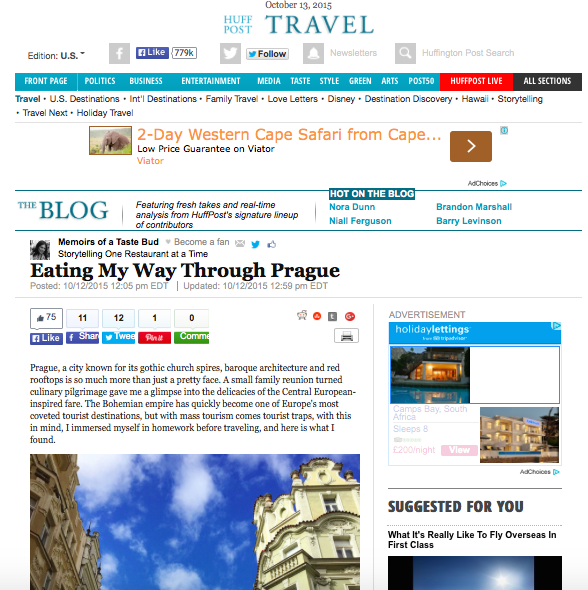 I’ll leave you with a few do’s and don’t to keep in mind if you are to visit Prague, now its time to plan another culinary pilgrimage, Cape Town is on the horizon!